With more states acting on legalization, more people than ever are using cannabis for medicinal and recreational purposes. 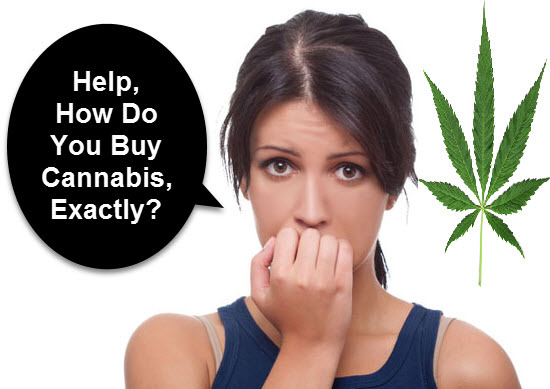 There are millions of people who use cannabis today, but for newbies or those who want to go back to a healthy habit after several years, navigating the world of buying legal marijuana can be overwhelming with all the options today. In this guide to buying cannabis, you’ll have everything you need to make a well-informed decision (if you live in a state that has legalized cannabis). Dispensaries have quality control processes in place. Products are tested as required by state law, so you have higher chances of enjoying quality cannabis from a dispensary whereas buying from the black market means you don’t know what you’re getting. You could be getting pesticide and chemical-laced marijuana from the black market. There are no tricks: buying from a legal source means you’ll get what you paid for. Whether you’re buying the plant, infused products, or edibles, you’ll get precisely the weight and amount that you paid for. Cannabis tax goes back to helping the community. Your tax dollars go into funding community projects and building infrastructure. You won’t have to worry about the law if you are sure that you’re buying legally and if you are being a responsible consumer. Dispensaries and retail stores are the most common places where you can buy cannabis. With the exception of Colorado and Washington where adults can purchase recreational cannabis, these places will require you to present a doctor’s prescription before they can sell cannabis products. As of today, there are more states that have legalized medical cannabis than recreational cannabis. Dispensaries employ highly trained and qualified individuals and sales persons who can assist customers with their purchases.